If you are in charge of your company’s hiring committee or if you are working for Human Resources, then you know how important it is to find the right candidates for each position. Every time there is an applicant who wishes to try his or her hand at acquiring a job in your company, they have to supply their resumes to show that they are qualified. However, before they can even be considered for a job, those in charge of management will have to do a proper background check in order to verify an applicant’s qualifications. 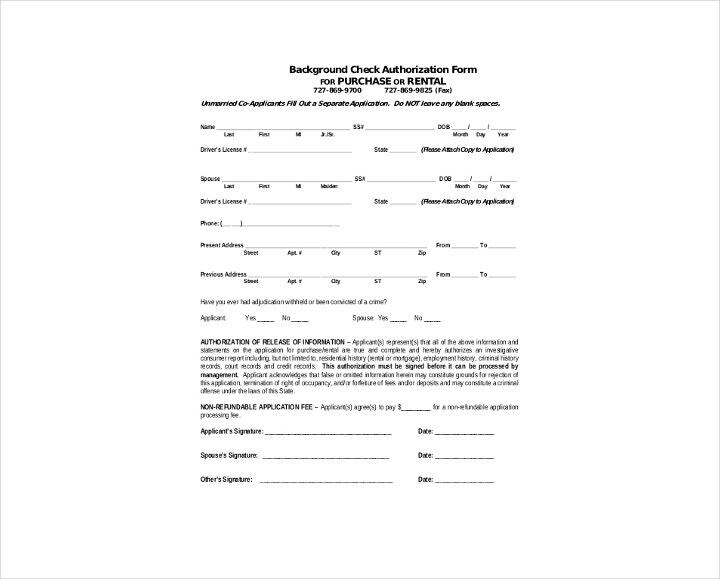 Here are some examples of background check information forms that you can use. There are a lot of companies that either fail or do not want to commit to doing background checks as they think that it costs too much money or time. This is a mistake as conducting a thorough background check is the best way of figuring out whether someone is perfect for a job. No company wants an employee that will only bring them problems, and that is exactly why a background check is necessary to prevent companies from hiring these types of people. In order for you to avoid any form of potential discrimination charges, the best time for you to be screening applicants is when a job has been offered. You should also learn to conduct a background check before you start hiring the employee to avoid any risk of neglecting hiring claims. 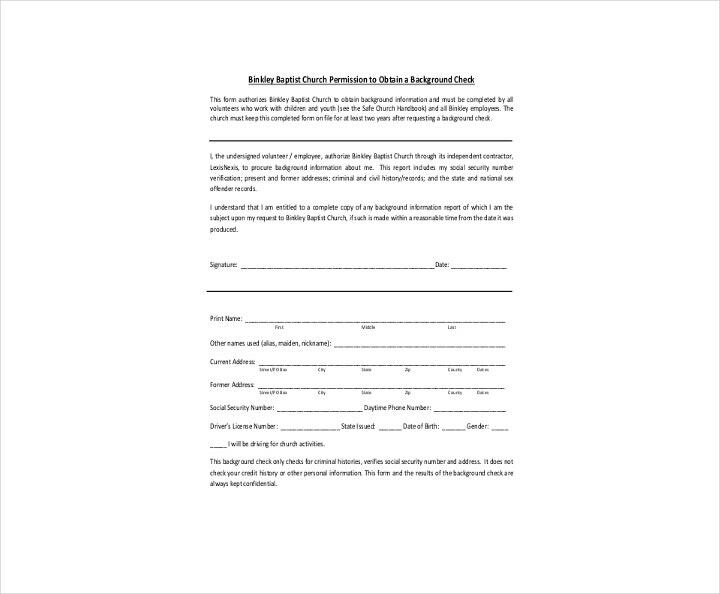 Businesses may also consider conducting background checks after the applicants become employees. For example, if there is an employee who is being considered for a promotion that requires high-level security clearance due to the nature of its position within the company, or if there is rising suspicion that an employee is involved in illegal activities, then a post-hire background check is definitely something worth pursuing. You cannot do any kind of background check unless you are able to gather the permission of the employee who is getting the promotion or the applicant who wishes to work for your company. 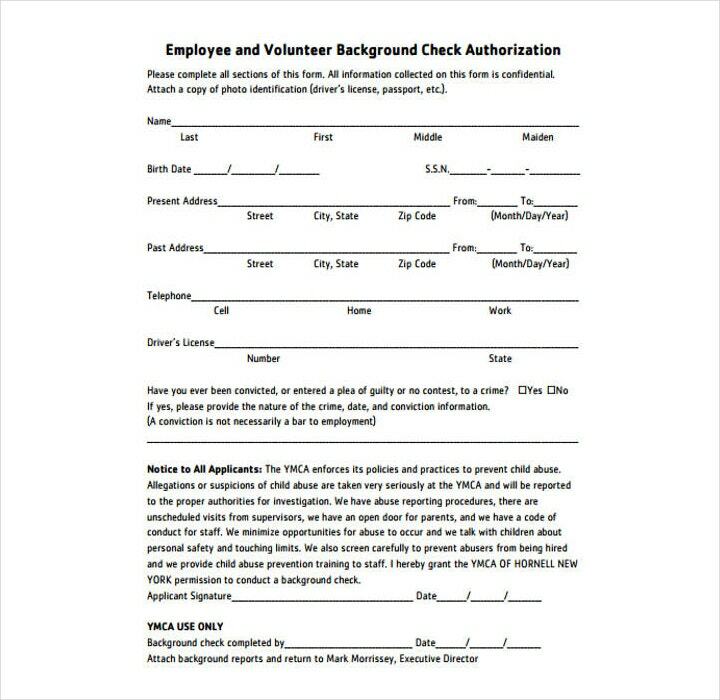 You need to prepare a consent form or any document that clearly outlines the purpose and need of getting a background check done. Just make sure that you get the person’s consent or you might end up facing legal charges when you do not faithfully follow the background screening process mandated by law. The key to hiring applicants as quickly as possible is by gathering accurate information about them. 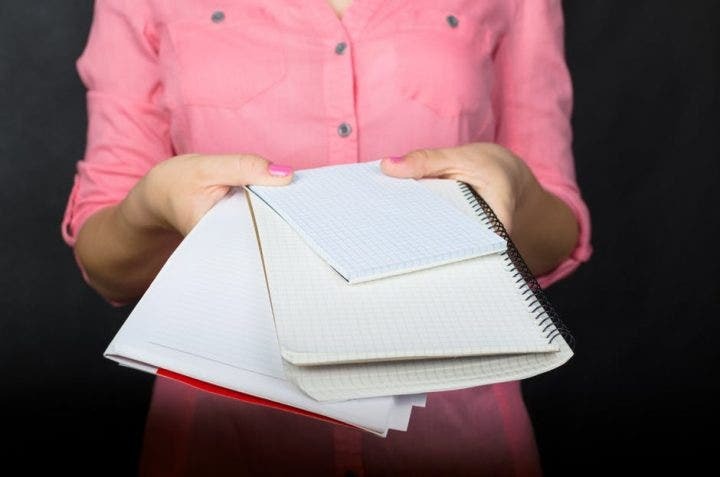 With both entry forms and data entry, there are so many areas where it is possible for human error to occur, which will just end up stalling the hiring process. With the help of an online portal, the procedures that are required for hiring employees become more streamlined. All of the important documents regarding a person’s application will all be stored so that any potential for non-compliance is lessened or removed completely. Part of staying in compliance of FCRA is to correctly follow adverse action procedures if the background check reveals questionable results. An employer will not be able to disregard any applicant so long as the background screening information looks suspect. Adverse actions dictate that a candidate for hire or promotion offer will be notified of the results of the background check information and will be given ample time to dispute or correct it. Think of it as a form of fighting chance that you are giving the candidate, and should he or she fail, then you may now show that person out the door. One of the best ways to maintain a consistent hiring process as well as a proper screening process is to document everything important that takes place. If the process has been documented and well-proven, then that would make the hiring process much more efficient. However, hiring procedures may be subject to change due to the shifting nature of new regulations at the local, state, or even national level. Having a map of what works, what screens are allowed to be done, and compliance procedures will help make the background screening process easier for those in Human Resources strategy. If you are an employer, then you definitely have to know if the person that you are about to hire has a record of criminal activity or not. You do not want anyone who was convicted of stealing right inside your office now, would you? There are a lot of ways for you to perform a background check, but the law usually limits the kind of information that you can get as well as what you can do with it. 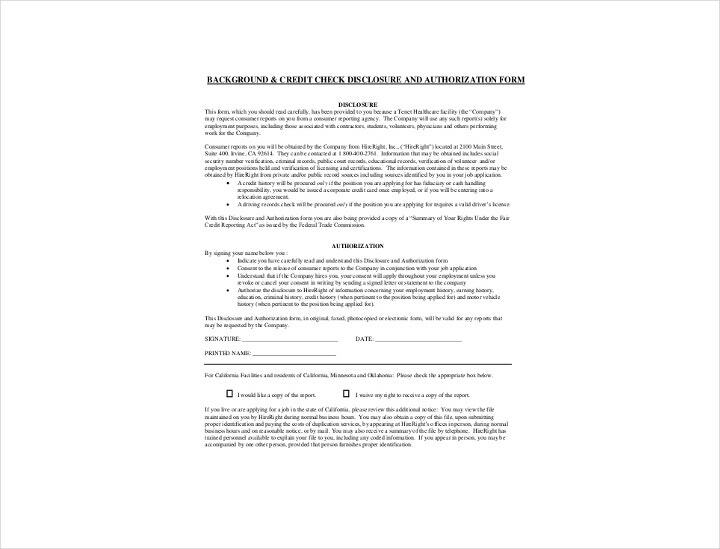 So to help you out, here are the steps required to help you conduct a proper criminal background check. 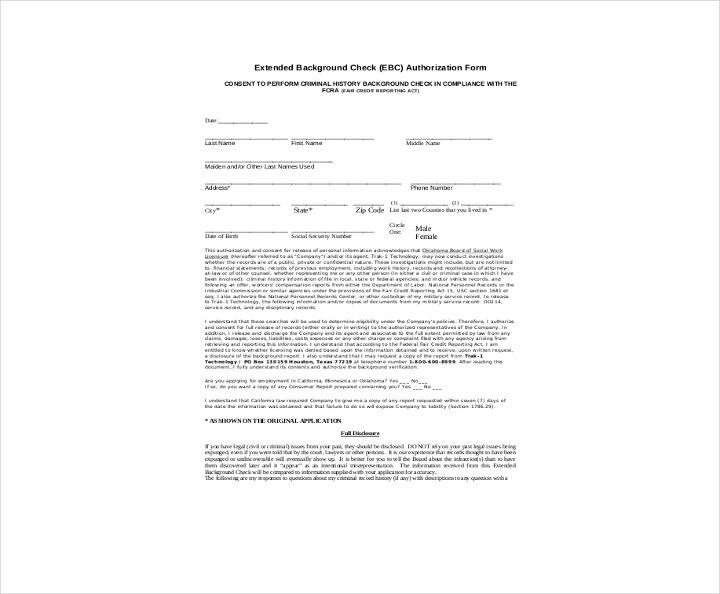 The FCRA requires that you inform applicants and employees that you intend to do a background check on them and that the results of the information that you gather may help you make a hiring decision. You have to write this down in a document and then hand it over to the applicant so that he or she will understand. The page cannot have any other information on it—it has to be on its own separate page from the rest of the application. 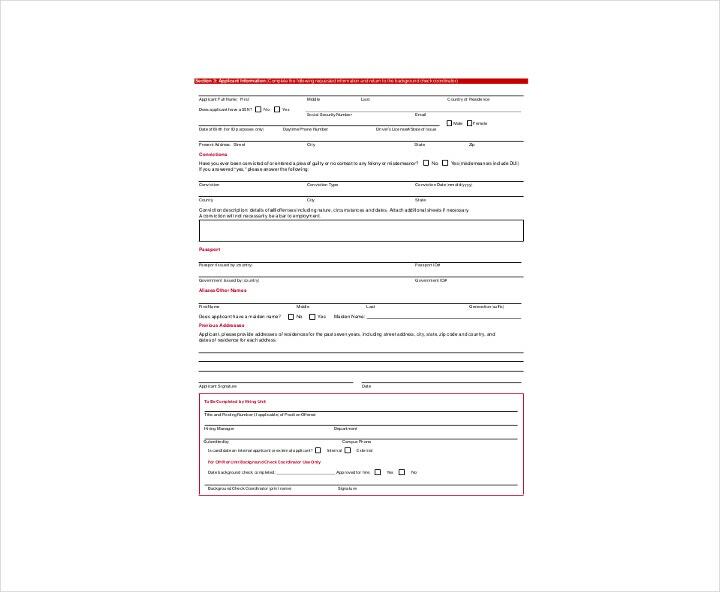 If you would like to be able to check on the person’s reports throughout his or her entire time working for you, then that should also be stated in the document. 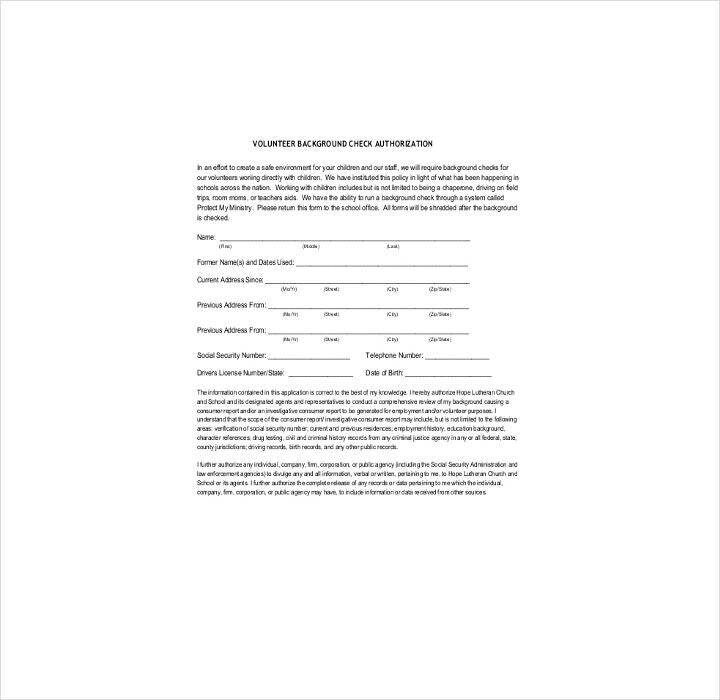 You must also acquire written permission from the person that you would like to investigate, and you have to make sure that the person’s email signature is on it to guarantee that your investigation is legal. In the event that you are planning on using an applicant’s criminal background as a deciding factor for employment, then you have to make sure that you check the specific laws in your state or country. This is often going to limit the information you can ask for as well as how you are going to use it. The FCRA allows reports to gather information as far back as seven years, but there are some laws that do not allow employers to consider arrests that did not result in a conviction. Furthermore, there are a couple of laws that offer even greater protection wherein they will not allow even criminal records older than seven years to be revealed in the background check. Even though arrest records are public, there are some laws that will not allow arrest records to be considered when making hiring decisions. If you would like to learn more about this, then all you have to do is go online and check on information about the laws of your country regarding criminal background checks. The Fair Credit Report Act regulates who can access a person’s consumer report and how all of that information is going to be collected. Only someone who has a valid reason may access another person’s credit reports. A CRA is a company that pays for access to various databases in order for them to gain information for all of the different kinds of background reports. Basically, they are the people who can give employers whatever they need with regard to the kind of information that they would like to know about a specific applicant. In order for you to find these CRAs, you have to visit the National Association of Professional Background Screeners’ website. This organization accredits agencies and publishes a code of conduct that all members must follow. Visit the portal and search all of the different firms by company name, state, or zip code. From the search results that are displayed, you can click through any one of them to see each company’s website. Each and every different website that you go through will provide additional information about the kind of services that they offer, so be sure to pick the one that you think you are going to need by going through the information properly. Do they have a business license? Can they provide you with a list of references? Do they follow the FCRA regulations? Does the company have insurance certificate? In the event that the company answers no to any of these questions, then you should definitely hire a different CRA. Even if these people try to offer you a deal that will save you a lot of money, it is better to be safe than sorry and find one that has all of the necessary documents that allow them to operate legally. Once you find an agency that you would like to conduct the background check, you must begin the process by certifying that you have followed the appropriate procedures. 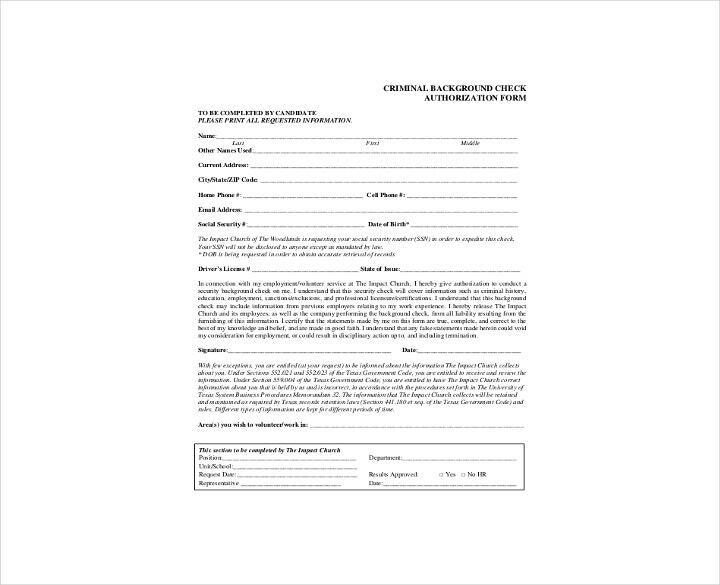 You have to certify that you complied with the FCRA regulations that you have told the person who is to be checked and that you have also gathered that person’s signature to ensure that he or she has agreed to the background check. You must also certify that you are not going to break any discrimination laws based on the information that is contained within the person’s consumer report. A consumer report will contain all of the information regarding one’s criminal records, as well as that person’s credit and employment history. Under federal law, CRAs generally will not reveal civil lawsuits, civil judgments, arrests, accounts out for collection, or paid tax liens if they were handed over around seven years ago. You also will not be able to learn about bankruptcies if they occurred more than 10 years in the past. If you believe that you need an employee’s history that goes back even further than just seven years, then you can request for the history to be included in your report. 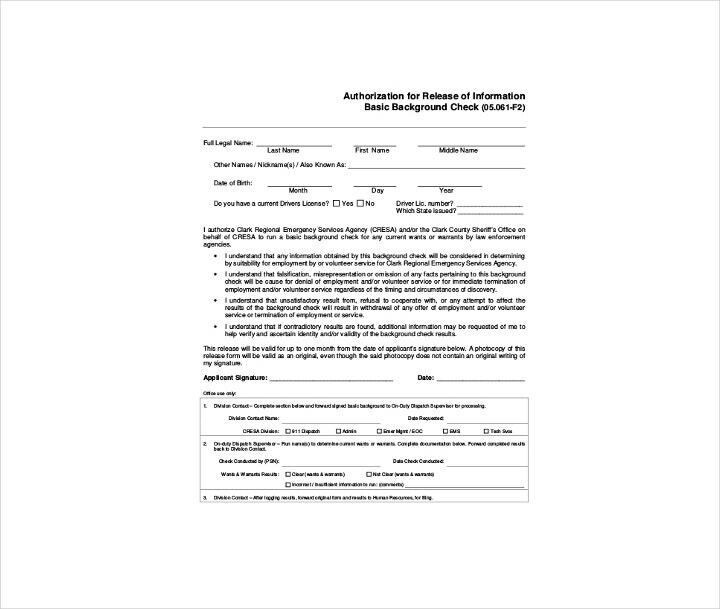 You have to check the law in your state or your country if you are legally allowed to request the applicant to provide information that has gone beyond seven years. Inform the person that there was negative information that was found in the report. Inform the person the name of the agency that helped you prepare the report. Make sure that you give the other party a copy of the “Summary of Your Rights under FCRA” that you received from the CRA that you hired. Give the applicant an opportunity to make some form of rebuttal to the report. This rebuttal can be in the form of a letter outlining why the information presented in the report is wrong. 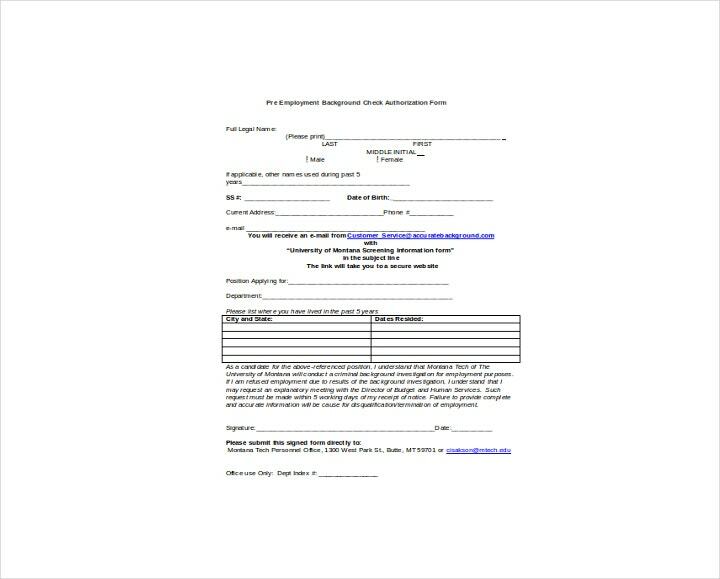 In the event that you would like to know more about how to check one’s previous criminal records or how to do a proper background check, then be sure to read up on our other articles.